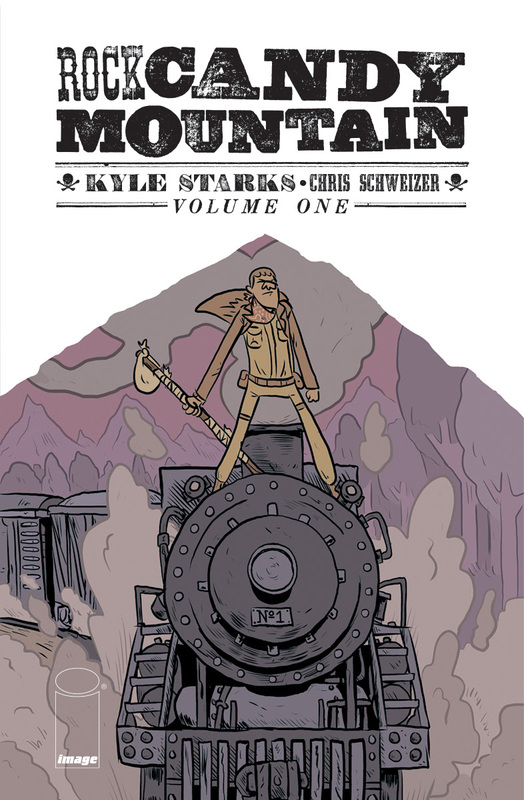 Image Comics ongoing action-comedy series Rock Candy Mountain, by Eisner-nominated cartoonist and hobo enthusiast Kyle Starks (Sexcastle, Rick and Morty), will release its first four issues in trade paperback form, this September. Come along and ride the rails with the mysterious unbeatable hobo Jackson, and his newbie sidekick Pomona Slim, on his quest to find the mythical hobo heaven. But watch out for the Devil! And the FBI! And the Hobo Mafia too! It’s a fantastical fisticuff frolic through post-World War II America via the rails and back roads, through underground fight clubs, prison, and the hobo jungles wrought with dangers, hobo fights, jokes, and locomotive excitement. Rock Candy Mountain vol. 1 arrives in comic book stores on Wednesday, September 27th, and bookstores Tuesday, October 3rd.